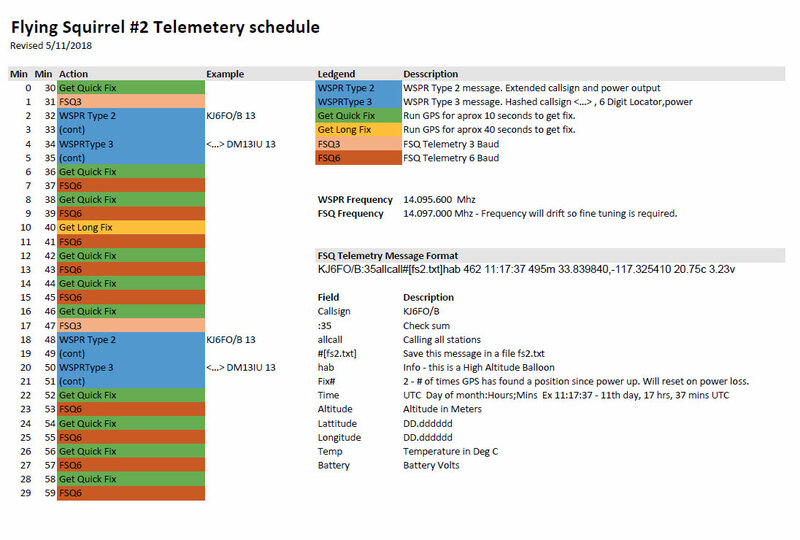 This is the final FS2 Telemetry schedule. The columns labeled “Min” is the minutes into the hour (i.e. 0 = top of the hour) that the scheduled event should happen. The schedule repeats after 30 minutes. Launch is tentatively targeted for some time in May 2018. Stay tuned.